The black marlin is a species of marlin found in tropical and subtropical areas of the Indian and Pacific Oceans. 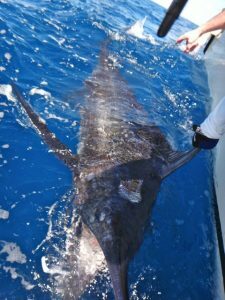 With a maximum published length of 4.65 m (15.3 ft) and weight of 750 kg (1,650 lb), it is one of the largest marlins and also one of the largest bony fish. This marlin is one of the fastest fish, with speeds of up to 129 km/h (80 mph) as estimated from the speed that hooked marlins are able to unwind fishing line. 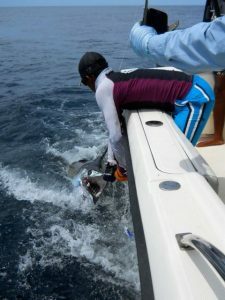 Compared to striped or white marlins and sailfish, black marlins are more solid than their blue counterparts. 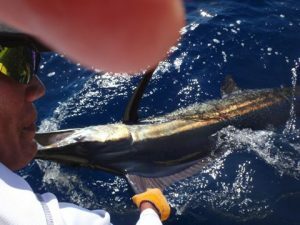 They have a shorter bill and a rounder and lower dorsal fin. 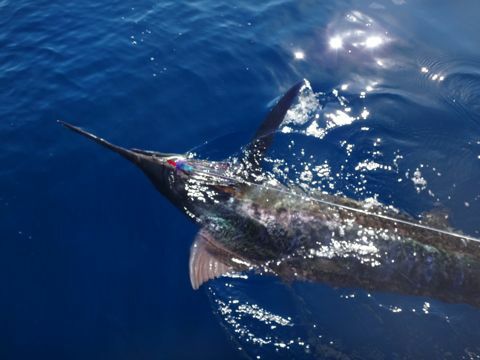 Black marlin may be distinguished from all other marlin species by their rigid pectoral fins, which, especially from a weight of around 150 lb (75 kg) or so, are unable to be pressed flat against their sides. 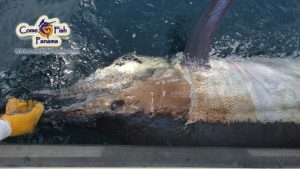 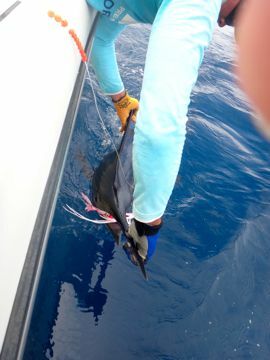 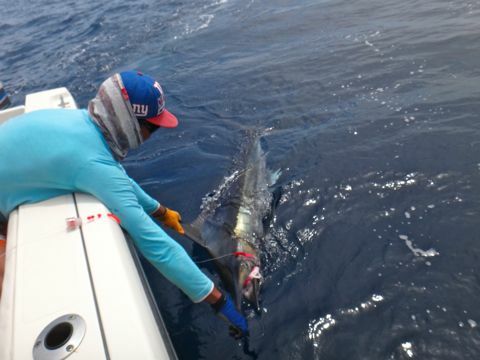 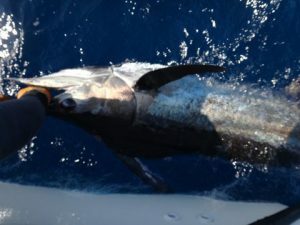 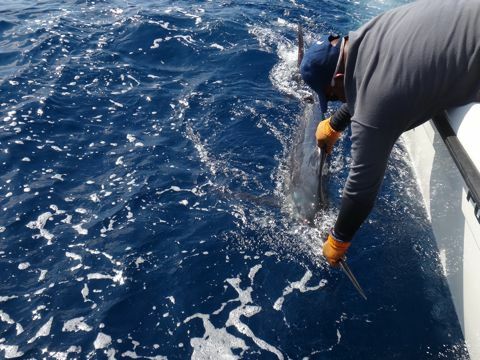 Want more Black Marlin Information?